I have sold a property at 7666 MANITOBA ST in Vancouver. This is a very solid, split level, family home. There are three bedrooms up, a spacious main floor with a large living room and dining room. The basement is fully finished and has a bedroom and family room. Very quiet neighbourhoodnd easy access to the Canada Line, Oakridge Mall, The Airport and Downtown. There are hardwood floors, a big 46x115 ft RS-1 lot and two car covered parking. YOU'LL LOVE IT! I have listed a new property at 7666 MANITOBA ST in Vancouver. Please visit our Open House at 7666 MANITOBA ST in Vancouver. 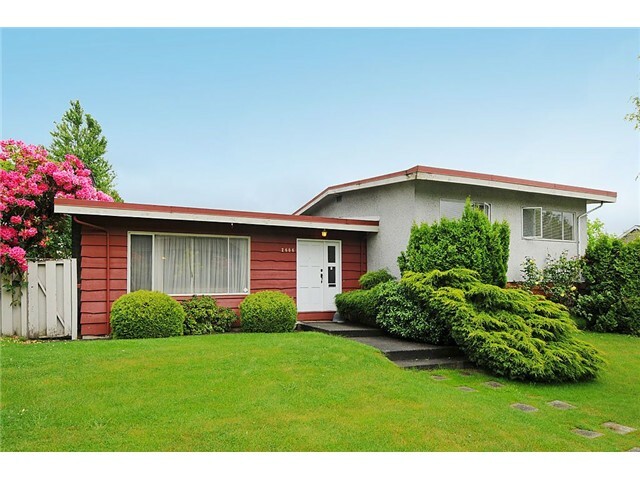 I have listed a new property at 721 W 63RD AV in Vancouver. This is a wonderful family home located in convienient Marpole on the high side of a quiet tree lined street. Close to Oakridge Mall with easy access to the airport and downtown on the soon to be finished Canada Line. The house has threegood sized bedrooms on the main floor, a formal living and dining room, plus a large kitchen with eating area. There is a five piece bath, a nice back porch and generous and spacious layout and room sizes. Downstairs is a recroom, two more bedrooms, laundry and storage with high ceilings and nice light. There are two fireplaces, oak basketweave hardwood floors, arizona sandstone rockwork and updated double glazed windows. A perfect place for a renovation and to call home. YOU'LL LOVE IT! I have listed a new property at 715 W 69TH AV in Vancouver.